This year's rail strikes have cost rail operator SNCF €790million, according to an internal document seen by news agency AFP. That figure amounts to about €21million for every one of the 37 days workers walked out between March 22 and June 28 - and is in line with estimates put forward by SNCF bosses earlier this year. The SNCF confirmed the figures to AFP. A total €770million in lost turnover during the strike period accounts for the bulk of the slate - including €600million in ticket sales, and €60million in freight losses, while providing replacement bus services cost €40million. 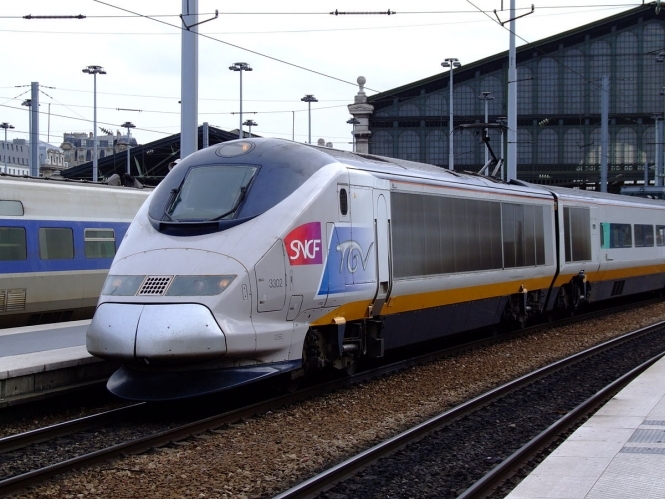 SNCF also cited an "unprecedented" €160million in "commercial gestures" to compensate clients whose travel plans were disrupted, but it also saved €140million in payroll deductions to striking workers and in reduced electricity bills. Staff walked out in protest at planned reforms of the rail operator, a key element of President Emmanuel Macron's campaign pledge to cut France's deficit and streamline public services. Despite the protests, the reforms were approved by the Senate in early June. The government has said that it will take on the majority of the operator's debt, while also investing €3.6billion in network infrastructure over the next 10 years in return for company-wide reforms - including changes to to workers' rights and pensions, which it has said is necessary to cut costs as European passenger rail markets are opened up to competition. But they failed to win over public opinion, with a majority of French consistently against the action according to surveys. Participation by rail workers also dwindled as the strike went on, with roughly 10% of staff taking part at the end of June, compared to 77% in April.